You are here: Home / Apple / What is iCloud? iCloud is a cloud storage service provided by Apple Inc. for its users. You can store all your contacts, photos, music, videos and other files in online storage (cloud) which you can access from any iOS devices, Mac or a PC with the iCloud sign in. iCloud is virtual memory drive which has similar features like Google Drive, OneDrive, Dropbox and much other online storage but it stands out among them. iCloud can store file, music, photos, and videos, which you can share easily with friends, family, and colleagues with few clicks. With iCloud sync, even if you have lost your iPhone/iPad or Mac, your data will be safe and can be retrieved from any other iOS devices. It also enables automatic synchronization across iOS devices, Mac and PCs of email mailboxes and messages, documents, iTunes music and more. Why should I sign up for iCloud? 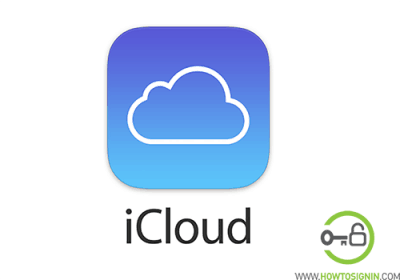 Are you wondering what is iCloud and why should I sign up for it? Then here are some compelling points for you. Content everywhere: Once you purchase content from the App Store, iTunes or iBook store, you will get that content on all your Apple device. You can also download past purchased content. Photo Saving & Sharing: You can store all your photos and videos in iCloud using ‘iCloud photo library.’ You can also share and videos with the people you choose. They can add images, videos, and comments on albums you share. iCloud Drive: You can save and sync all your work and document in iCloud drive and access them anywhere. Basic services synced: You can sync your emails, calendars, contacts, notes, and reminders across the iOS devices, Mac and Windows PC using iCloud. Free storage: You will get 5GB of free storage with each iCloud sign up. If you need additional space, you can purchase extra iCloud storage. Backup and Restore: iCloud keep back up of your iOS devices, so even if you lost your iDevice or damage it accidentally, you can recover all your data quickly. Find my iPhone: Find my iPhone service from allows its users to track the location of their lost iOS devices and Mac. This feature shows the approximate location of the device on a map with a circle. When finding my iPhone is enabled, the device displays text and/or plays a sound on the device even though the device is in silence mode. Find my iPhone service also authorizes the account holder to change the password on/of the device and erase all the content of the device remotely. Find my Friends: Find my Friends feature is similar to Find my iPhone service. However, you find people instead of your iOS devices. People can share their location with their family and friends via this feature and keep them updated about your current location. From iOS 9 Find My Friends became a mandatory part of iOS and user can’t delete as it is a built-in feature for iDevices. Find My Friend became part of iCloud and added to it to view the location of friends. iCloud Keychain: iCloud keychain is an inbuilt password manager for iPhones, Macs, and iPads by Apple. The sole purpose of the iCloud keychain is to generate a safe and secure password. A user can use iCloud Keychain while surfing the internet via safari browser. Also, to create secure passwords, iCloud keychain also stores saved passwords, credit card information and synced via iCloud and can be accessed anytime, anywhere. iCloud Email: iCloud email is service provided by Apple which can be used to login into iCloud services. The email is optional as a user can keep iCloud email to log in to iCloud. Since iCloud is push-enabled, it comes in handy for users. iTunes Match: iTunes Match enables access to all music including music that has been imported from other sources like CDs, on your iOS device. iTunes Match adds all the music to iCloud Music library using iTunes on Macs and PCs. You must have turned on your iCloud Music Library to access them from all of your devices. However, iTunes Match has a limit of 100,000 songs. This service is country limited so check before you want to take subscription of iTunes Match. iWork for iCloud: iWork allows users to create, edit and share documents, spreadsheets, and presentation on the go. People can create and collaborate with friends and colleagues with inbuilt amazing templates and designs. Illustration and notations using apple pencil on iPads can be done to make it look much better. My Photo Stream: With My Photo Stream, an iOS user can access recent photos were taken with their iPhone, iPad or iPad Touch. You can access photos that have been uploaded from Macs or PCs too. The system requirement is IOS 5.1 or later for iPhone, iPad and iPod touch. Mac should have OS X Lion 10.7.5 or later, of course, the photo app.PC should have Windows 7 or later operation software and its mandatory to have iCloud for Windows. Phone, iPad, or iPod touch iOS 8 or later: Tap Photos > Albums > My Photo Stream.iOS 7 or earlier: Tap Photo Stream > My Photo Stream. Messages on iCloud: Messages in the iCloud store all the messages, conversation and attachment to iCloud. It enables your device to have more space. However, if you delete a message from your device, it will be deleted from iCloud too. It will be gone when your device is synced with the internet. The good part is, if you got a new iPhone, you do not need to transfer all conversation using hectic methods. Just enter your iCloud email and password. All the message, conversation and attachment will be available on your new device on the go. iCloud require an active internet connection, an Apple ID, and up to date iOS software. Following are the requirements to access latest and full feature if iCloud.